I have a little girl who genuinely prefers to wear skirts and dresses. Every day. 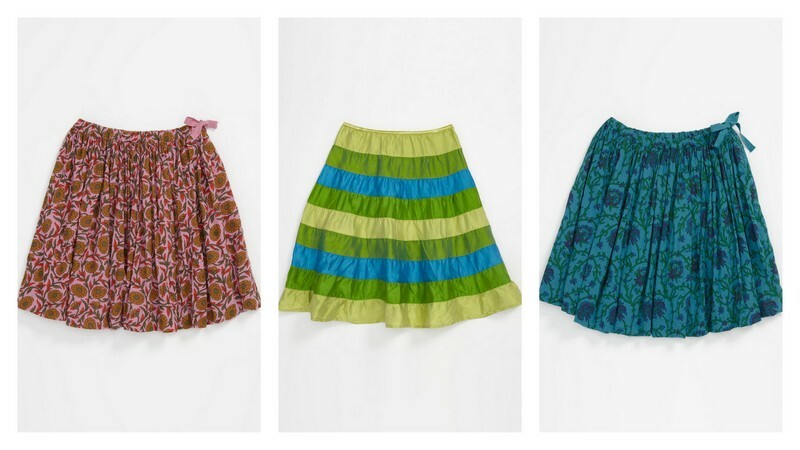 This is why I was so happy to see the three skirts above on sale this week at Nordstrom, each at a 65% discount! The first and third are the Peek Eve skirt, in pink and turquoise ($48 $14.97). The middle one (the "Belle of the Ball" skirt) is also from Peek ($68 $23.97). For baby girls, I love the two items pictured below. Both of these are 50% off. 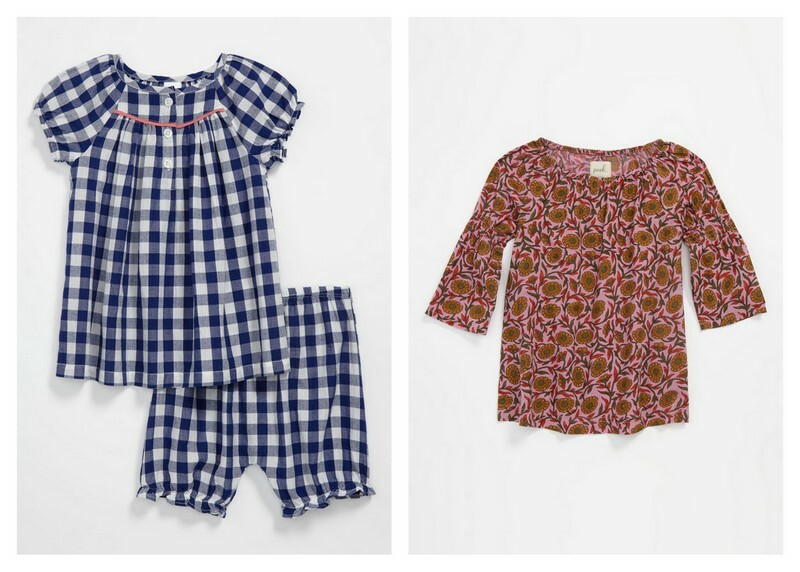 On the left is a great little summer blouse & bloomers set in blue gingham from Nordstrom baby ($38 $18.98). 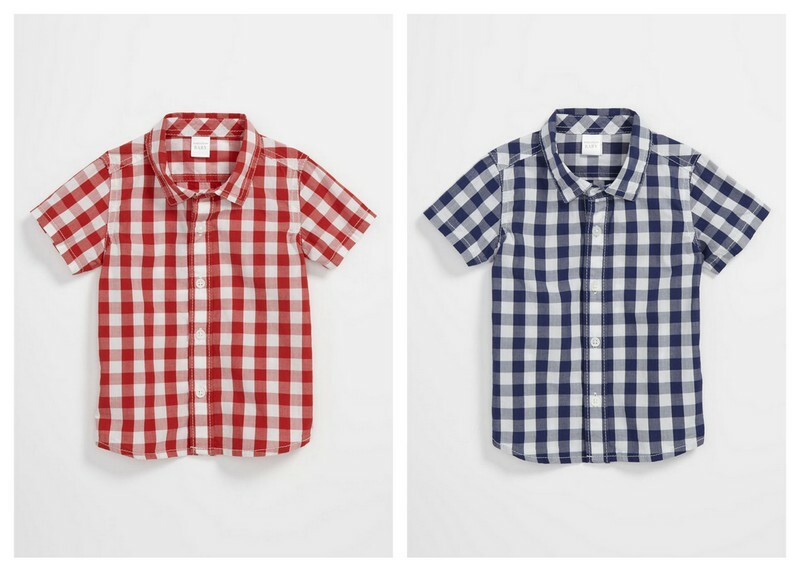 If you happen to have boy/girl twins, be sure to look at the coordinating gingham shirt for baby boys below. On the right is the Peek Simona dress in pink ($42 $20.98). Note that this is the same fabric/print as the skirt for older girls above, in the event that you have little siblings longing to coordinate! We must not forget the baby boys! This great little woven gingham shirt, also from Nordstrom baby, has been marked down from $30 to $14.98. Every single order from Nordstrom ships for free (returns are free too). Enjoy your Tuesday!